Happy Friday friends! Are you enjoying the new weekly Paint Color Crush series? My hope is that it gives you ideas on how you could use various paint colors in your home and/or refresh your spaces with saves & splurges. This week I’ve been chatting with one of my favorite ladies about her little back door entry space, which inspired today’s design. I would venture to say that many – most? 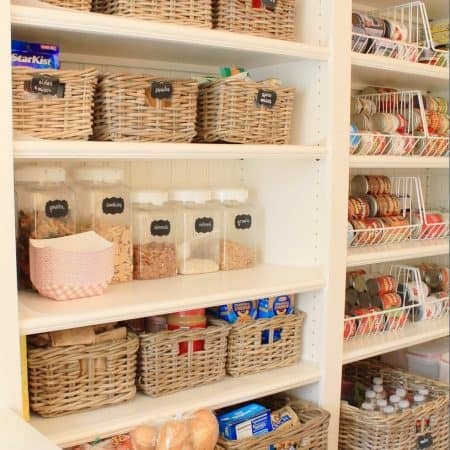 – of us don’t have actual mudrooms in our homes. In the house I grew up in, our back porch doubled as the place to hang jackets and kick off winter boots. In my sister-in-law’s house, it’s a small area in her basement where they enter from the garage. Some of you may have a little real estate in your garage that does the trick, or, as this design leans towards, a back entry in your home that doubles as a mudroom. 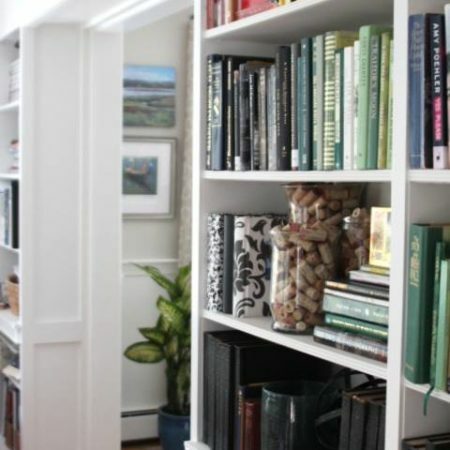 Here are some ideas to make whatever you’re working with into a space you love to come home to. Affliliate links included in this post for your convenience. The paint color du jour is the black I used in Peter’s Moody-Masculine-Mighty bedroom last year, it’s a true, saturated black without any strong undertones. White (shiplap walls) + black (patio door) + Moroccan-style tiles + wood. If you’ve been crushing on the super popular encaustic cement tiles that are everywhere right now, a small mudroom or entry is a great place to satisfy your desire (because when it becomes “SO 2017” in 10 years, it won’t be as painful to replace as, say, an entire kitchen floor). SAVE on ceramic “encaustic cement inspired” tile, little pop o’color in the form of an H&M pillow, and this classic and afforadable light (see my guide to affordable flush mount lights here). SPLURGE on the real deal on cement tile (which is actually not too crazy expensive if you have a small space). For those of us who don’t have the room (or the budget!) for dreamy built-in mudroom lockers, improvise with wall hooks, a boot tray to collect the muck, and a bench for your littles to tie their shoes. This bench is from the same line as my coffee table, which I was very pleasantly surprised by the sturdiness of. The added bonus of this style bench (vs. a mudroom bench that has storage underneath) is that you can pull this up to your dining room table for extra seating when you have a crowd. 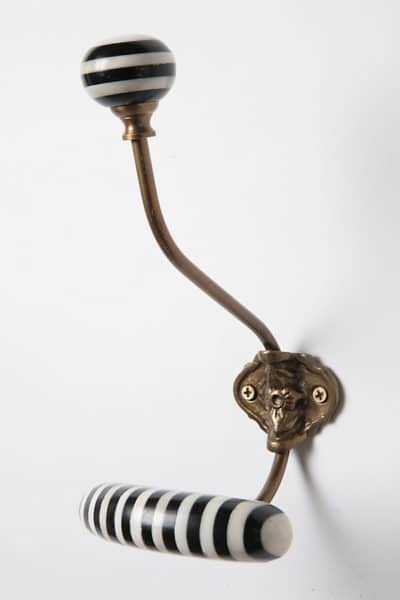 or if you’re short of space, a couple of these Anthro hooks would bring in a little vintage vibe. BENCH. A bench is really not too difficult to build. I built this one with cushion for our dining table and we use it all the time when we have company and want to squeeze a lot of people around our table. 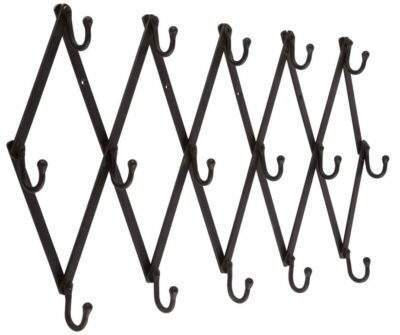 It would be perfect in a mudroom area too. SHIPLAP. Check out this tutorial from the amazing Kris @ Driven By Decor for installing shiplap on the cheap from her stunning One Room Challenge master bedroom makeover! 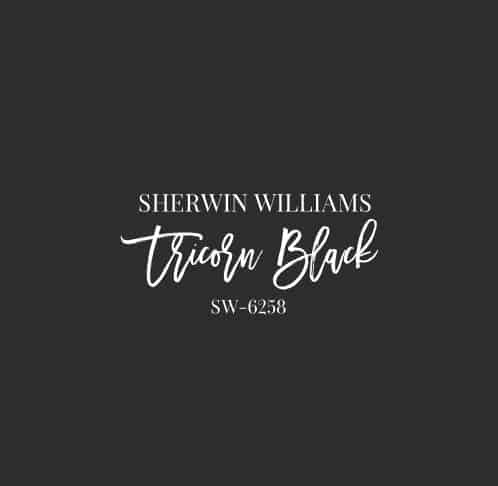 If Tricorn Black has caught your eye, check it out in various applications on the Paint Color Crush Pinterest board! Wishing you a happy weekend ahead! 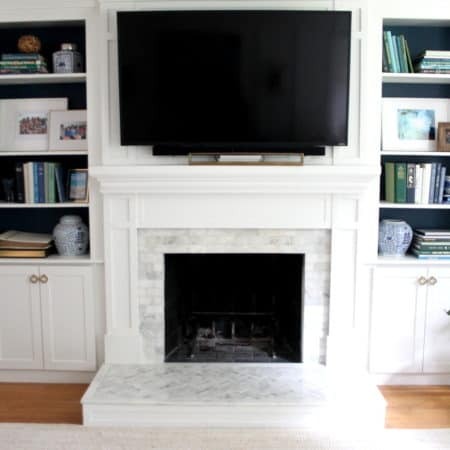 I love Tricorn Black I painted my library walls, trim and bookcases all black last fall for the one room challenge. It is my favorite right now. 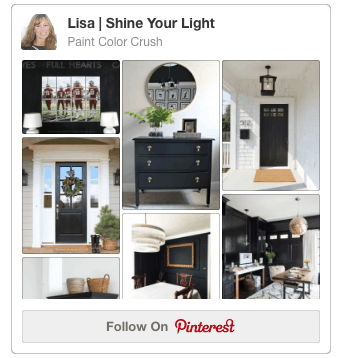 Love all of your black room ideas! Marcie I will have to come check out your Tricorn Black room! What a great color for a library! I used it my son’s room too and we love it. 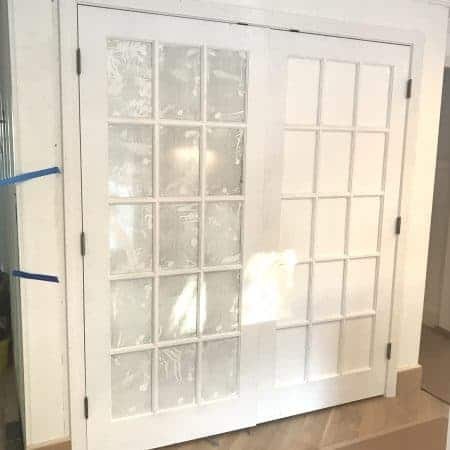 I bookmarked your shiplap tutorial ages ago Kris – it’s on my very long to-do list!! I LOVE using black in room designs, just as much as I love white! 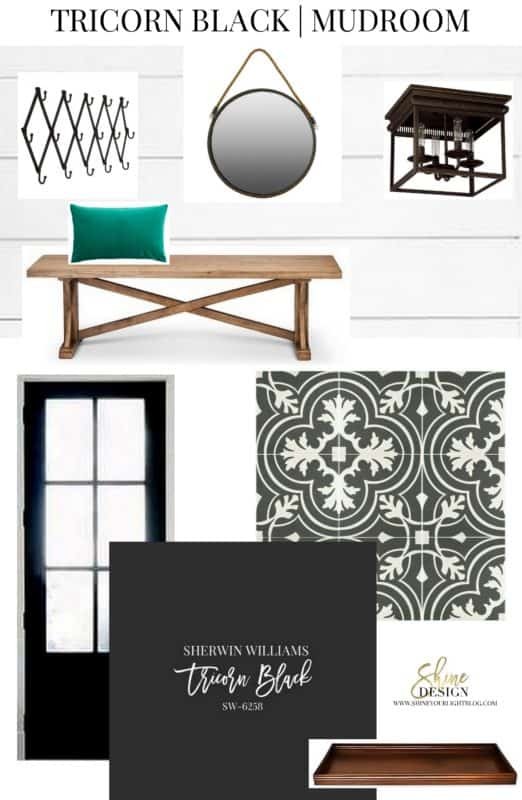 Encaustic cement tiles and shiplap are definitely having their moment in the spotlight right now! You’re so right on the cement tiles and shiplap thing Carol – which makes me think investing in and installing them in a small space might be the way to go. Just in case they are on the OUT list in 5 years!